January is the ideal time to improve your emotional health. Many people make New Year’s resolutions that address their physical health, but emotional health is just as important. Here are 7 New Year’s resolutions that will improve your emotional health and beat the cycle of chronic stress! Improve your emotional health this year with 7 New Year’s resolutions that make you happier and less stressed. Stop complaining. Complaining actually takes away your power and makes you feel like everyone and everything else has control over your well-being.Going complaint-free has been a popular (and positive) trend lately, and it’s good for all of us. Challenging yourself to get rid of complaining statements challenges your brain to stop thinking them and reminds you that YOU are empowered to create joy in your life.Millions of people around the world are wearing rubber bands and bracelets around their wrists to remind themselves not to complain for 21 days straight. Each time they complain, they switch the band to the opposite wrist and start the day count again.When you feel the complaints coming on, re-phrase that thought into a statement that empowers you. Instead of, “This traffic stinks; I should have taken the short cut,” try “I think the shortcut is a better route during this time of day- I’ll be sure to take it tomorrow.”New converts who stop complaining report feeling more at peace with their lives, and it’s bound to rub off on those around you. Take care of yourself. What may seem selfish is actually good self-care.Perhaps you need a good night’s sleep or an afternoon to yourself just to decompress from a busy week. Learn to say no to invitations and requests that are not in line with your priorities and revel in your “found” time.Use your self-care time to get a massage, take a walk, read a book or other activities that boost your mood and calm your mind.You may find that you have renewed energy to help others once you’ve helped yourself! AND, others will surely notice your happier state of mind. Want to experience freedom from negative emotions once and for all? The Sedona Method has become widely recognized by independent research institutions and leading experts as the world’s #1 most effective self-growth tool. (That’s why Sedona Method co-founder Hale Dwoskin is one of the 24 teachers featured in the mega-bestselling book and movie, The Secret!) 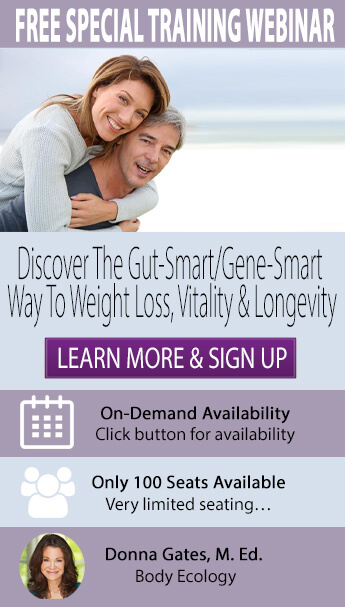 Find out more and try the Sedona Method for free! Get enough sleep. Sleep is vital to feeling great, so it doesn’t pay to skimp on your nightly dose.Adequate sleep can reduce stress, decrease cortisol levels (your stress hormone), increase your productivity and regulate your serotonin levels to balance your moods and emotions.Learn more about the benefits of sleep in 10 Resolutions to Commit to Better Sleep. Laugh! Medical experts agree that laughter may be the best medicine. It enhances your immune response, lowers your body’s cortisol levels, and increases your blood flow.Some scientists even believe that laughter raises endorphin levels (your “feel good” hormone) and contributes to a sense of wellbeing. Exercise. Besides helping you maintain a healthy weight and warding off heart disease, regular exercise can ease depression and anxiety.For more details on the best ways to exercise, read 9 Resolutions to Commit to the Most Beneficial Exercising. Declutter. You may not realize it, but the clutter in your home, office and car can deplete you of energy and well-being. The New Year is a perfect time to throw out, sell or re-organize the “stuff” that gets in your way, literally and figuratively.Some emotions you may feel as you de-clutter include elation, pride and a sense of accomplishment. Let go of unhealthy emotions. If you feel like you’ve tried everything but still can’t let go of toxic emotions like anger, jealousy, and despair, then try theSedona Method. The Sedona Method is a simple way to release the emotions that keep you stuck. People who use it find that they feel immediately calmer, happier and more alive. The Sedona Method is great because all you need is yourself and an open mind. Learn the technique using their audio CDs or DVDs and then take the technique with you wherever you go.All you have to lose are negative emotions! This January, make some New Year’s resolutions to improve your emotional health. You’ll feel more fulfilled where you are RIGHT NOW, so you can joyfully create the life you want in the future.